I often get the question, “Can I switch from Medicare Advantage to Medigap”? Before answering the question, “Can I switch from Medicare Advantage to Medigap“, let's first understand the difference between these two plans. Below is a 20-minute video that gives you the details on the pros and cons of each of these plans. Medicare Advantage, the Part C of Medicare, replaces original Medicare with plans run by private insurance companies. MAPD Health Maintenance Organizations (HMO) – You can directly visit hospitals and doctors within the network suggested by the plan provider. As a patient, you need to visit a primary care physician before taking advice from the specialist doctor, unless it's an emergency or out of area urgent care. MAPD Preferred Provider Organization (PPO) – You can find providers both in both in local and regional areas. A MAPD PPO allows you to visit a specialist without a referral from a Primary Care Physician. Additionally, if you go out of network you will typically pay a higher copay or coinsurance amount then if you stay in network. Here in San Diego where I live, there is only one MAPD PPO plan, and many of the services are 40% of the cost if you go out of network, so be sure and understand how any MAPD PPO works before you enroll. You might have asked the question, “Can I switch from Medicare Advantage to Medigap“, but why would you want to? Some Medicare Advantage Plans offer benefits that original Medicare doesn't cover. 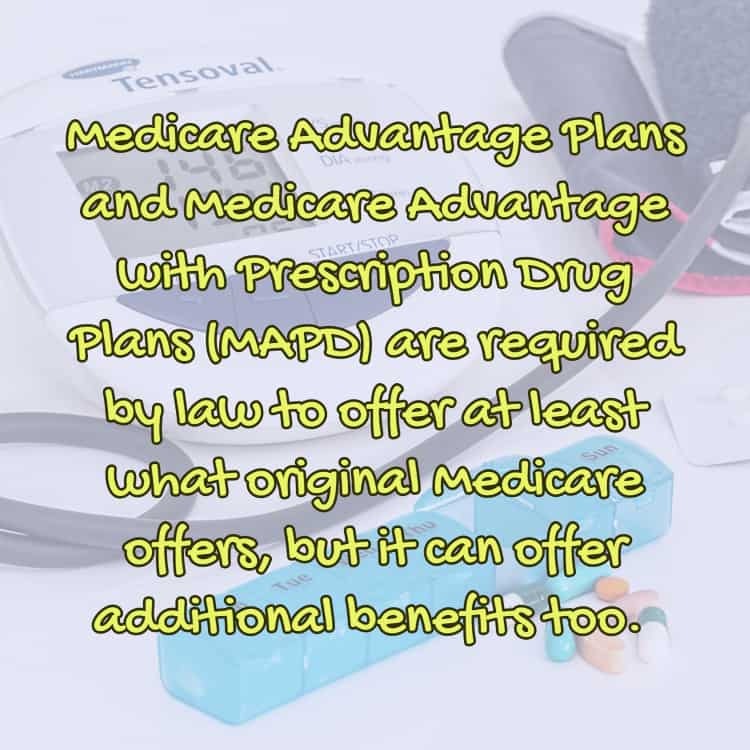 Medicare Advantage Plans and Medicare Advantage with Prescription Drug Plans (MAPD) are required by law to offer at least what original Medicare offers, but it can offer additional benefits too. For example, original Medicare does not cover Skilled Nursing Facilities (SNF) unless you've been in the hospital as an inpatient for 3 days. Some MAPD plans will. However, with a MAPD you must follow the insurance company's rules. So while original Medicare will cover the cost of your SNF regardless of where it's located, with MAPD you must stay within their network, and sometimes you must stay within the medical group's offerings. Additionally, the MAPD can limit your care by requiring prior authorization. MAPD plans are not standardized and can arrange the benefits the way they see fit, as long as they stay within Medicare's rules. And insurance companies can have more than one plan, so if your neighbor says he likes insurance company X's MAPD, and company X has four plans, he might be talking about a plan that is completely different than your plan. One important criterion is that you must have both Part A and Part B to enroll in a Medicare Advantage Plan. And many MAPD plans don't have an extra premium on top of that. So they might seem more affordable on a monthly basis. But because of the restrictions that MAPD plans can impose, you might just feel that Medigap plans are more suited to your needs. Medigap (Medicare Supplement Insurance) plans are additional health insurance that you can buy from a private company to pay health care expenses which were not covered by the Medicare Plans such as any deductibles, co-payments, and co-insurance. Medigap policies generally don't cover options like dental care, vision care, or hearing aids. These plans always have a monthly premium in addition to the Part B premium. The premium depends upon the plan you opt for, your age, your location and the insurance company that you want for your healthcare treatments. Until recently, Medigap policies available for new beneficiaries didn't cover any benefits that Medicare doesn't cover. This included Long Term Care (LTC), Dental, Vision, Hearing, etc. But there is a new plan called Innovative Plan F which covers vision and hearing benefits in certain areas. When considering the question, “Can I switch from Medicare Advantage to Medigap”let's understand why you might want to make this switch. It's usually a matter of two issues. Choice and Flexibility. Original Medicare doesn't have the restrictions that Medicare Advantage plans often have. Can I switch from Medicare Advantage to Medigap? You might ask that question, “Can I switch from Medicare Advantage to Medigap”, and you might want to make the switch, but you might not be able to do so because of your health. But, there are ways to get a policy even if you are in bad health. Let's discuss those ways now. 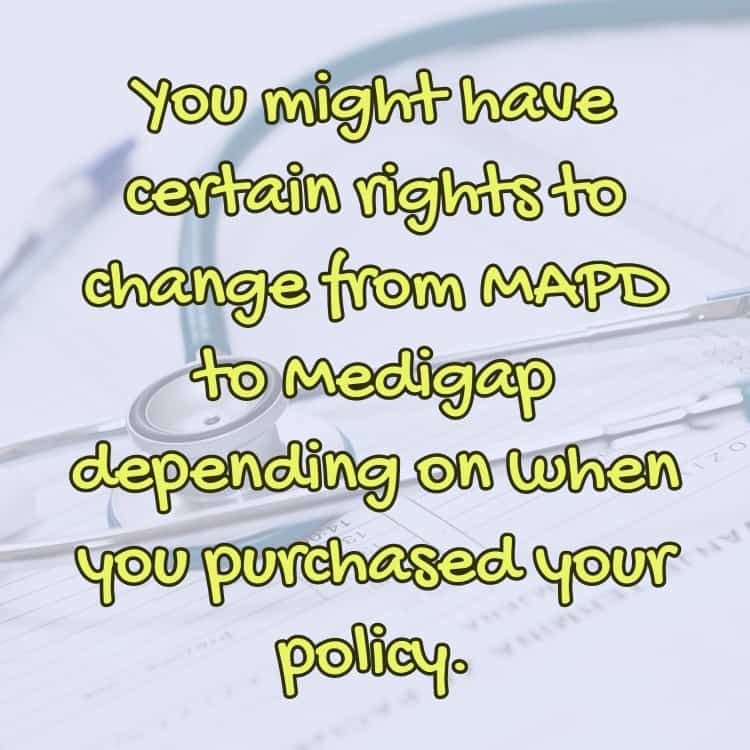 You might have certain rights to change from MAPD to Medigap depending on when you purchased your policy. Generally, if you changed from a Medigap Plan to a MAPD within 12 months, you can change back to your Medigap plan. After 12 months you might not be able to get a Medigap plan again if you are unhealthy. There is also a provision that if you purchase a MAPD plan when you first turn 65 and are eligible for Medicare, you can change to a Medigap plan within 12 months. However, this provision is a little tricky so make sure you are working with a very knowledgeable broker. This provision won't work for you if you didn't get the MAPD when you first turned 65 or if your Part A, Part B, and Part C effective dates don't all match. How can you switch from Medicare Advantage Plan to Medigap Plan? 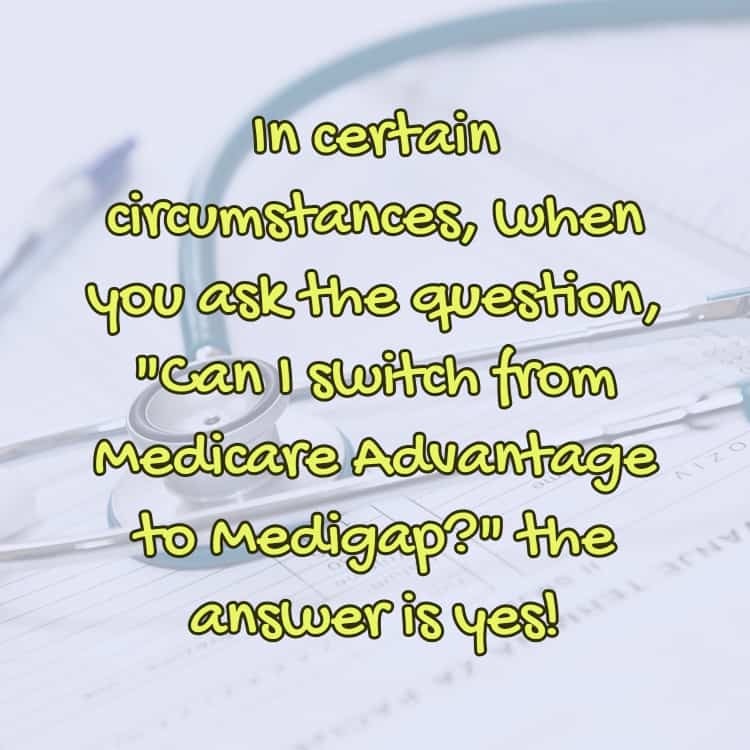 In certain circumstances, when you ask the question, “Can I switch from Medicare Advantage to Medigap?” the answer is yes! If you have moved out of the plans area and you have Medicare Advantage then you can enroll in Medigap Plans such as, A, B, C,F, K or L. You must do so 60 days before the premium coverage ends (a grace period of 3 days is given to you, i.e. in total 63 days before). If you are misguided by your Medicare Advantage Plan then you can enroll in Medigap Plans such as, A, B, C, F, K or L. You must do so 60 days before the premium coverage ends (a grace period of 3 days is given to you, i.e. in total 63 days before). 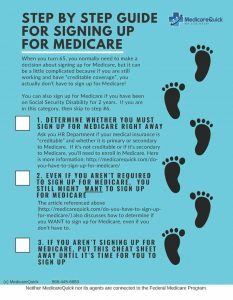 How to Switch from Medicare Advantage to Medigap during the Annual Election Period? 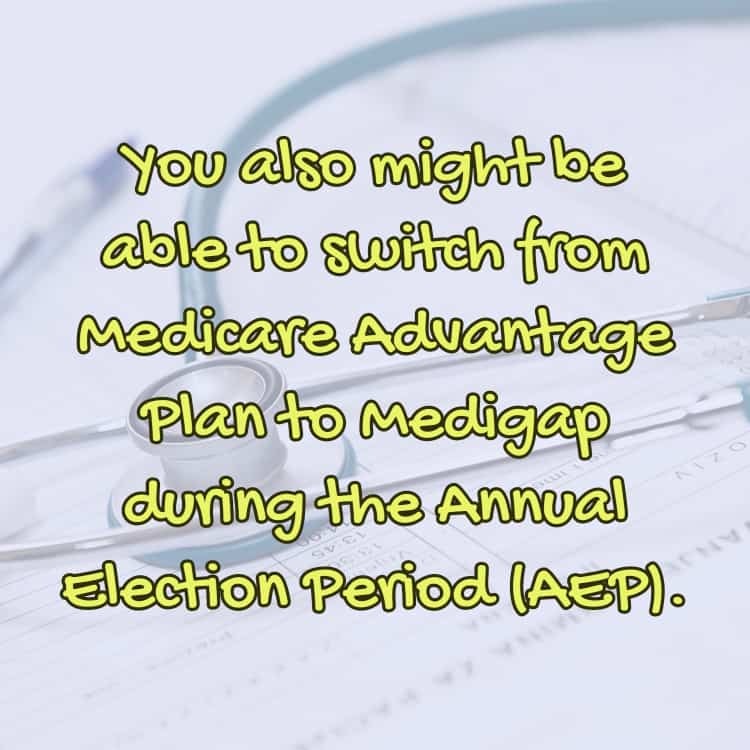 You also might be able to switch from Medicare Advantage Plan to Medigap during the Annual Election Period (AEP). It starts on October 15th and continues until December 7th. If you switch during this time, you'll most likely need to answer medical questions to get approval. After your plan is approved, then select your drug plan. Living in the state of California? You might have a guaranteed right to change plans during the AEP. If your insurance company raises the premiums or copays by any amount that that insurance company also offers a Medigap plan, then you'll have the right to purchase a Medigap plan from that company. But if the insurance company doesn't offer a Medigap plan, and they raise the copays or premiums by 15% or more, then you'll have the right to purchase a policy from any company that sells Medigap plans in the state of California. Be careful though! Selecting a drug plan will cancel your MAPD plan when you do this during the AEP. You don't want to wind up without the coverage you need to limit your potential costs. Please note: Don't apply for a drug plan before you get your confirmation of Medigap approval. This is because it will automatically cancel any Medicare Advantage Plan you have. Additionally, you will need to complete the process before December 7th, during the AEP. Don't wait! Changing from a MAPD to a Medigap plan during this period can be stressful. Each year from Jan 1st to Feb 14th the Medicare Advantage Disenrollment period continues. You can switch from your MAPD to a Medigap plan during the Medicare Advantage Disenrollment period if you qualify medically. Here are some of the steps that you need to follow. Don't disenroll from your MAPD until you receive approval for your Medigap plan. Apply as early as possible in the disenrollment period (ie January). Enroll in a stand-alone prescription drug plan AFTER the Medigap plan confirms acceptance. After receiving confirmation of acceptance, then provide a written request to disenroll from your MAPD. Remember, changing from Medicare Advantage to Medigap is complicated! We are happy to assist you with this change. If you'd like personalized help with the question, “Can I switch from Medicare Advantage to Medigap”, just contact me through our contact form, or call me at 866-445-6683!